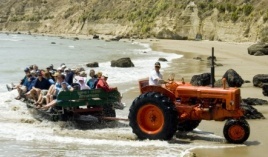 Napier is a great place to visit with family and friends to get away and celebrate that special event or just relax. To get you started exploring Napier and this fabulous region the Ballina Motel has a range of packages to suit everyone from the corporate traveller to families. Whether you are planning a night away with that special someone or visiting Napier on a business trip the Ballina Motel has a package to suit you. Check back regularly to see our next offers. Travelling to Hawke's Bay on business, and have meetings in Napier and Hastings? Join our business club, and enjoy a host of benefits. Being so close to Napier's best wedding venues, makes the Ballina Motel an ideal base for your family and friends to stay together to celebrate your special day. 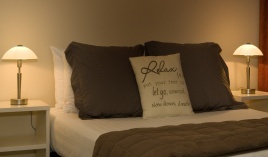 A long weekend getaway just got better at the Ballina Motel. Not just a weekend away, but pure indulgence and relaxation. As cyclists, the Ballina Motel is very cycle friendly and conveniently located in the middle of the Hawke's Bay cycleways - we are the ideal place to base yourself for a cycling holiday in Hawke's Bay. Tee off in Napier - the weather is great and the courses fabulous all year round. With a climate like ours, there is no reason to wait to book your golfing holiday now! 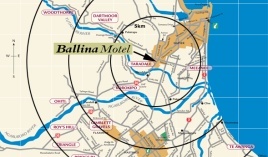 For special occasions, anniversaries or family reunions the Ballina Motel offers the ideal location to enjoy all the wonderful things that Napier and the region has to offer. Add Sunday night to your Friday and Saturday night stay in any room type and receive a 50% discount on the published Sunday night rate! Can't find a special that meets your needs? Please contact us so we can discuss your requirements and customise a package especially for you.